It begins with a good foundation of a long proven track record of core principles and guidelines when it comes to themes from WordPress. Think about the fact that as I write this post, the top 3 themes have at least 2.5 million active installs. Active installs means they are being used right now on someones website. No other theme on the wordpress.org directory (repository) has that kind or download and active install count. Ultimately, it comes down to the fact the default themes are built with a solid foundation that is stable and coded with the standards set in place to make sure they stay working and capable of being maintained as WordPress progresses with each version released. You have to admit as well, the ability to have 1-click theme updates is great for anyone who does not like using FTP to upload files. It’s easy because when you log into your dashboard, you will see update notices with the capability of 1-click updates. Nice, easy, fast, and you’re done! As you are probably aware by now, we focused on child themes for the top 3 default themes by offering a few free ones to enhance the existing styling of each one, plus a few pro versions too that offer extra features. Although they are child themes, they are inheriting all the quality features and functions of the default themes. The likelihood that the child themes will need updates is very slim because they use the parent themes of Twenty Seventeen, Twenty Sixteen, and Twenty Fifteen. 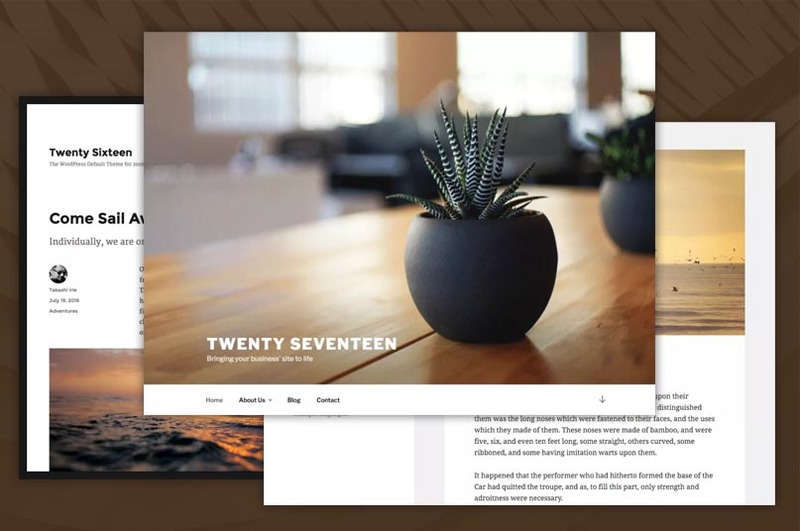 Don’t forget that our child themes are reviewed and approved with a 100% passing grades by the theme review team at wordpress.org which is why you will see them in the directory! Just recently, the decision to start designing and releasing full parent themes is now confirmed and have already begun development with the first one to soon be released. What is going to set these themes apart from others is the fact they will be utilizing the default themes as a starting point to create amazing concepts. This means more choices and themes that you can then create your own child themes from should you decide to make custom personalized changes. But the one thing you can be given a guarantee of, is the fact they will offer solid, stable, and flexibility to the core.